Tribs.io | Play Tribs.io free on iogames.space! 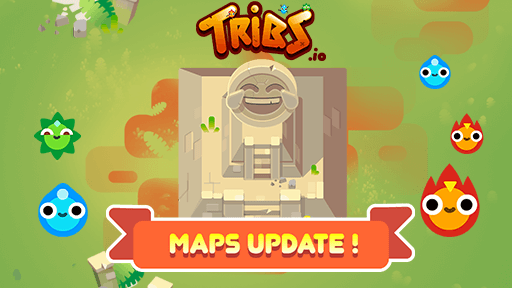 Join the tribs.io community, choose your tribe, customize your hero, select your powers and defeat the other players in an epic fight! Your goals are to defeat all the other players and lead your tribe to the victory! In order to reach these goals, you can use dozens of powers and customize your hero with hundreds of different skins! First you have to choose your tribe : AGWA (Water), FAYA (Fire) or PLONT (Grass). The water extinguishes the fire which burns the grass which drinks the water. Travel around the map eat your prey and run away from your predator tribe. Your goals are to defeat all the other players and lead your tribe to the victory!